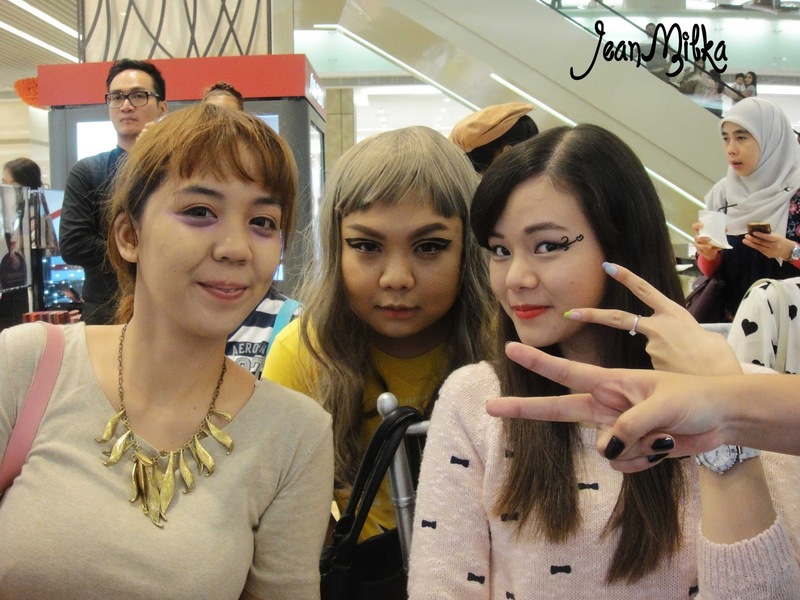 Yesterday I got such a nice experience with Shu Uemura Lotte Shopping Avenue and fellow blogger from Indonesia. 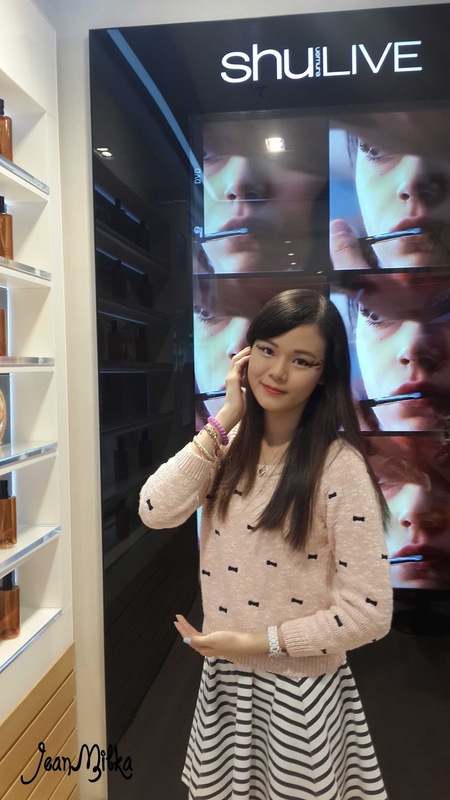 In context to launch their new product which is Shu Uemura Lightbulb UV Compact Foundation and Calligraph : ink, they invite beauty blogger including me. One of my favorite product from this brand is Shu Uemura Face Architect Foundation. I just got it last month, I mention about it in my latest beauty haul. 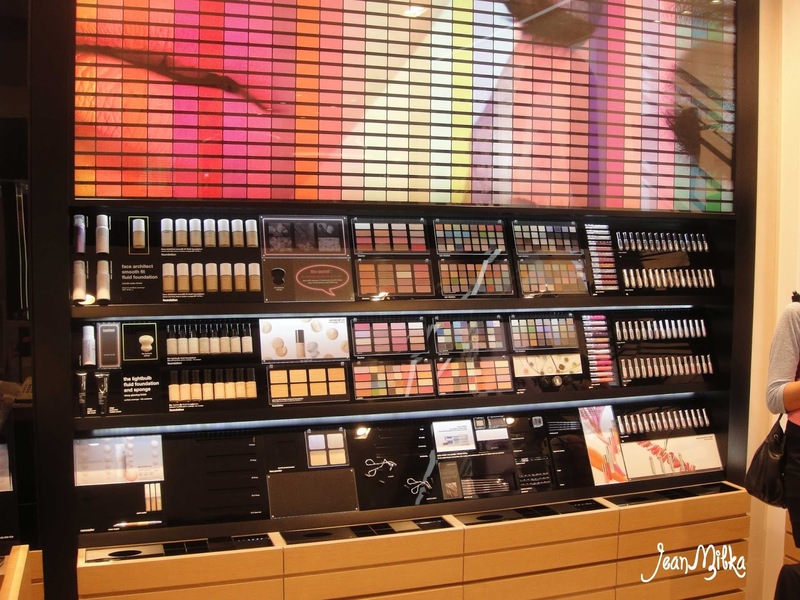 But After I try it at Shu Uemura Lotte counter, I just fall for it. I can't really tell anything about it. But I would like to list it on my wishlist. Another Shu Uemura product that I already eyeing for couples month is one of their eye lash from princess collection. It's quite price and not wearable for everyday use *I don't use any fake eyelash in real life tho ^-^*. But I want it... It's so pretty. 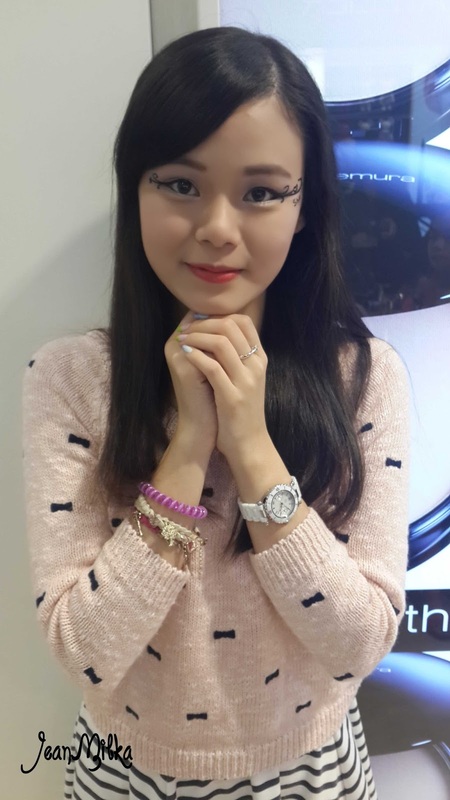 It's have pink lash with love Shape. 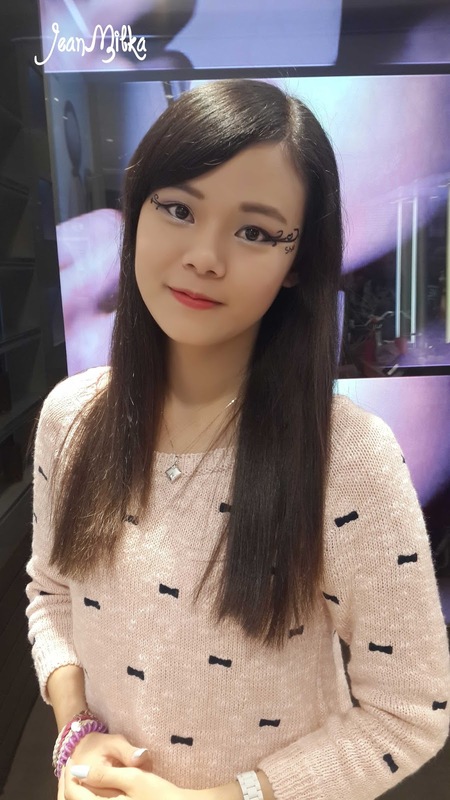 Let's back to the topic, Here it is Shu Uemura New Eyeliner which is Calligraph : Ink. By the name you already can tell that it's made for face painting. Calligraph : Ink mean to be a pen eyeliner that make it easier to create any eye looks. 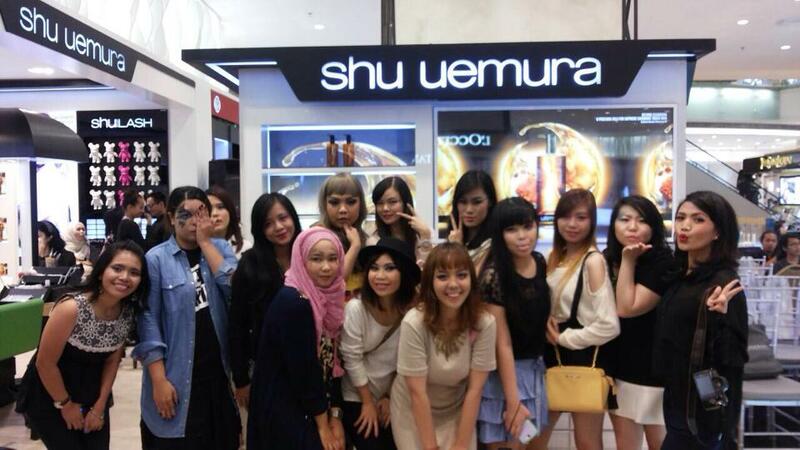 All blogger get the opportunity to tried all Shu Uemura product at Shu Uemura Lotte Shopping Avenue. 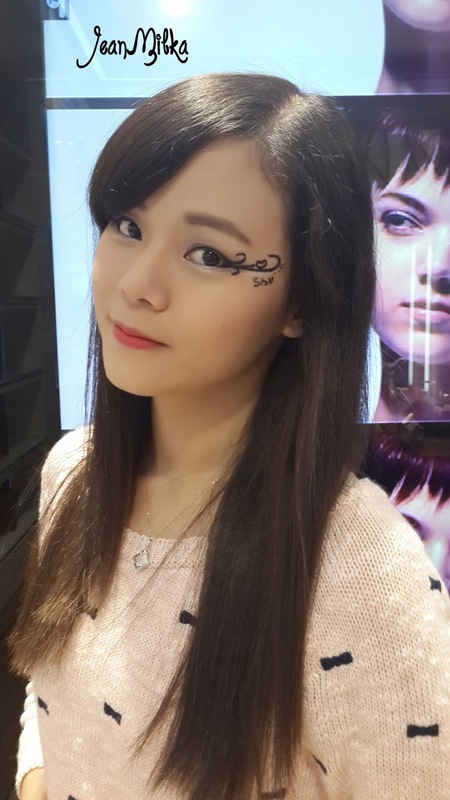 Here is my make up result using Shu Uemura Lighbulb UV Compact Foundation and Calligraph : Ink. I take this picture using a digital camera *rest of the picture after this take by smart phone*, an as you can see the new Lightbulb UV Compact Foundation give me flawless finish. 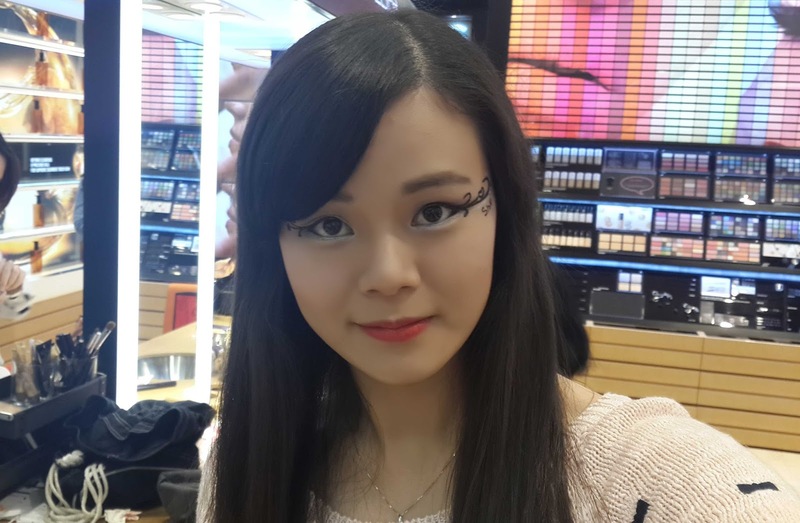 Here is the detail of my make up looks. 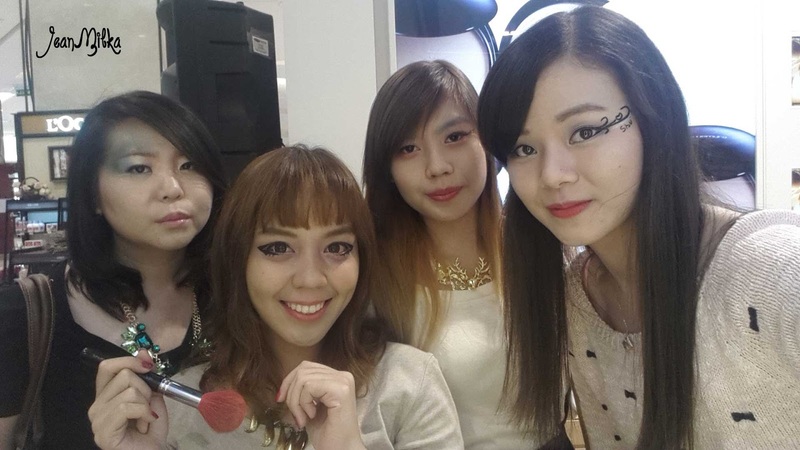 This look was inpired by Shu Uemura Dancing Line make up. The happiest moments is meeting fellow bloggers and become friends. 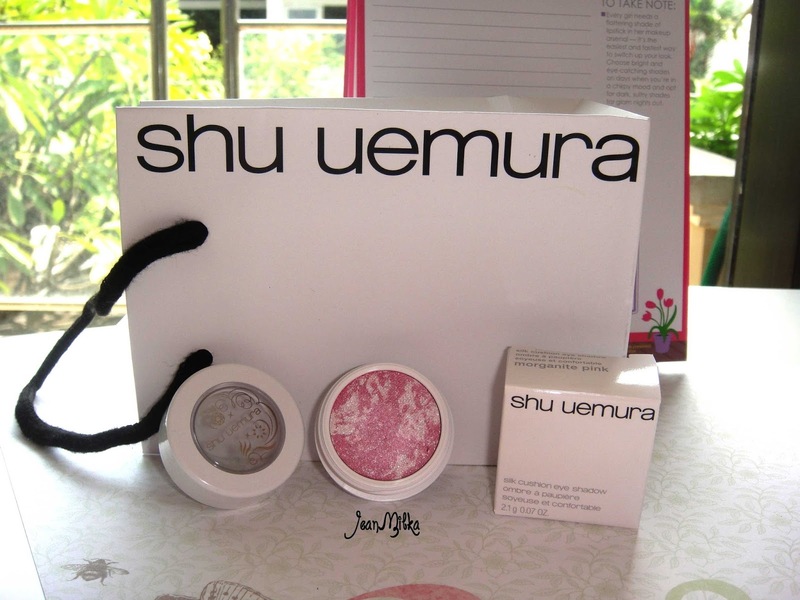 As a gift, all blogger get a Shu Uemura Silk Cushion Eyeshadow Bijoux Collection, I got mine in Morganite Pink. 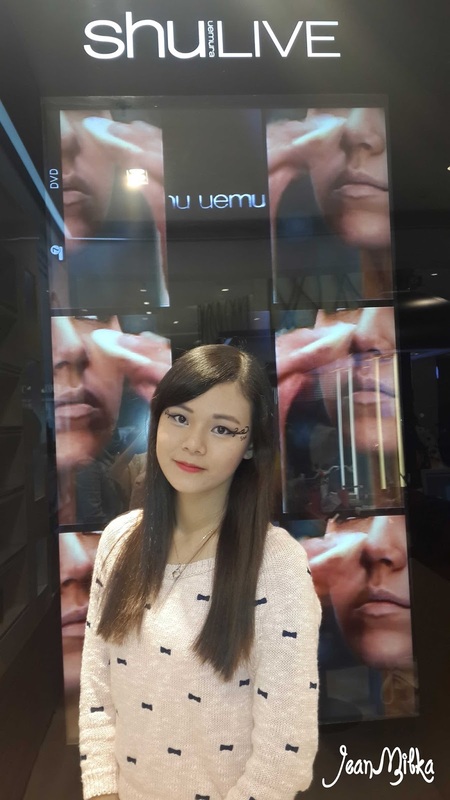 That's is all for my experience with Shu Uemura. 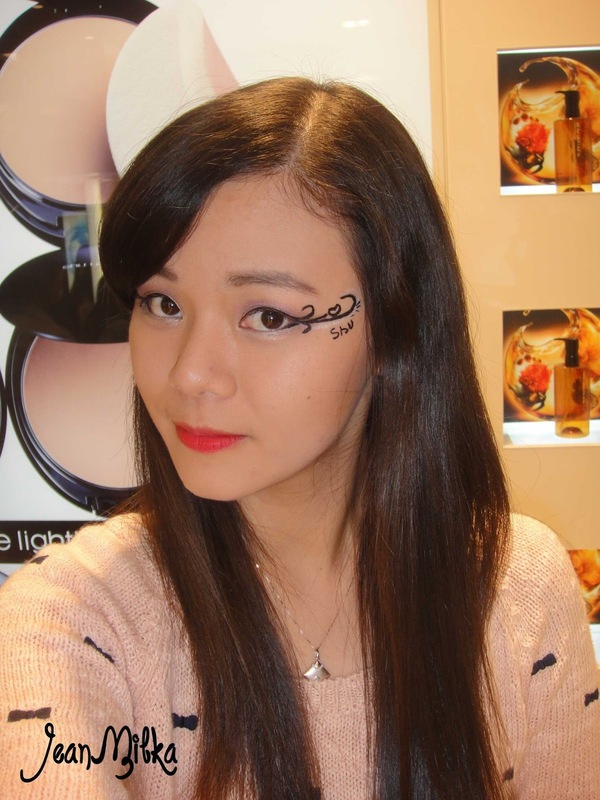 Readers : Have you tried their new product, Shu Uemura Lightbulb UV Compact Foundation or Calligraph : Ink? if you do, please let me know what u think? And than... 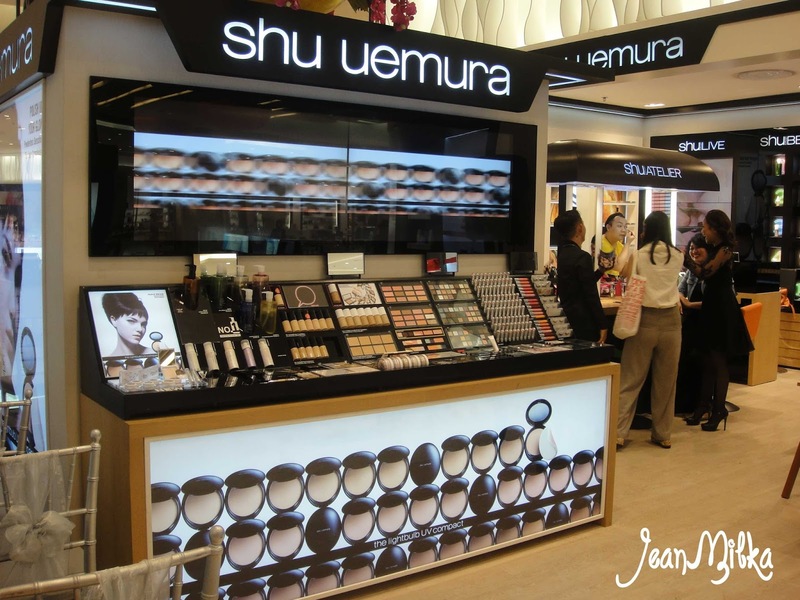 I planning to get Shu Uemura Lighbulb liquid Foundation? any one can tell me is it make u oily or not? 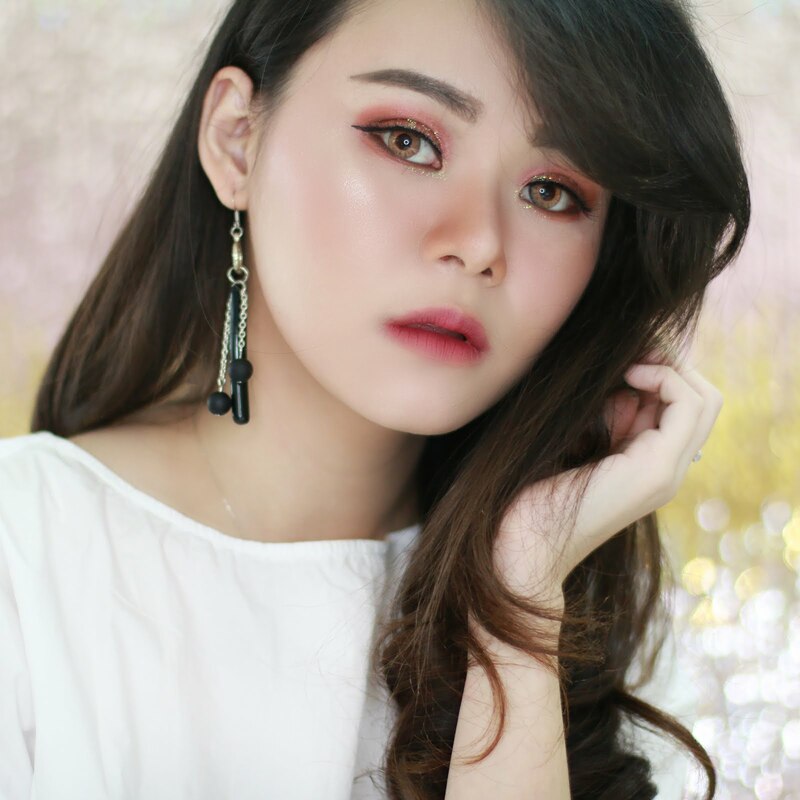 6 komentar on "Shu Uemura Launch New Product Lightbulb UV Compact Foundation and Calligraph : Ink"
naksir paper lashes nya shu uemura juga..so pretty ! mind to follow me back ? 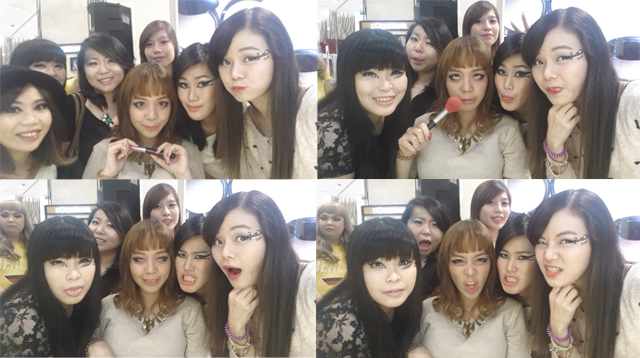 Yeah.. Lagi suka banget sama Red Lipstick beberapa hari ini. Itu product Shu Uemura yang Rouge Unlimited Matte, tapi g ingat shade yang mana..
calligraph ink nya keren.Buat coret" mata haha.